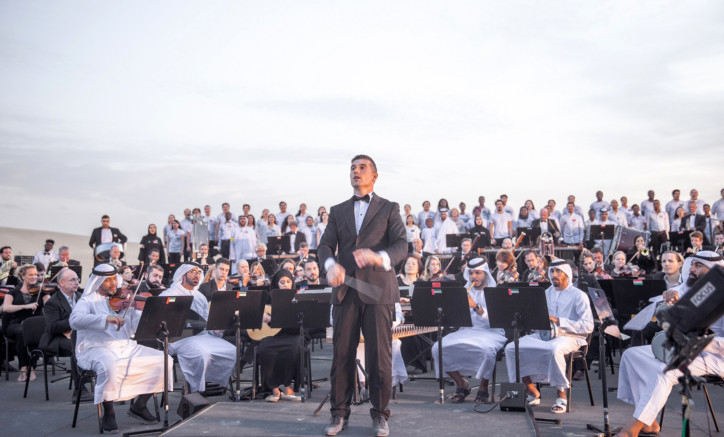 The orchestral performance of Ishy Bilady — which translates as ‘Long Live My Country’ — also includes seven Emirati musicians, symbolising each of the UAE’s emirates. The performance was filmed by the UAE’s first female director, the award-winning Nayla Al Khaja, and captures the nation’s spirit of collaboration, as well as the warm hospitality that will be on show when Expo 2020 welcomes the world to the UAE in less than two years. 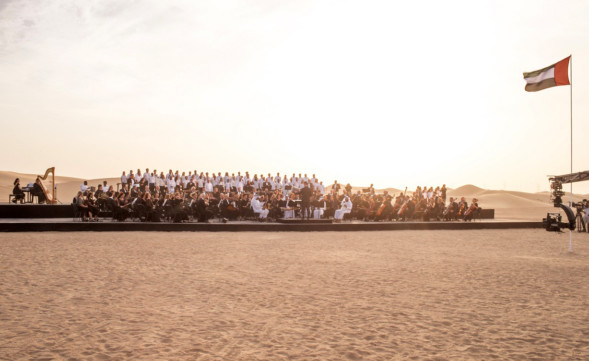 The multinational orchestra vividly illustrates the Expo 2020’s global impact, days after it was announced that 190 countries have confirmed participation. This number surpasses the 180-nation commitment set out in Dubai’s successful 2013 bid to host the World Expo in 2020. Dr Hayat Shamsuddin, Vice-President – Arts and Culture, Content and Programming, Expo 2020 Dubai, said: “Watching this beautiful rendition of our national anthem was so moving. Nayla Al Khaja has captured the spirit of tolerance and unity that exists in the UAE, where more than 200 nationalities live in perfect harmony. The performance also marks the Year of Zayed — honouring the country’s founding father, Shaikh Zayed Bin Sultan Al Nahyan.